An Japanese luxury car that was offered by Honda under Acura brand for US and Canada user on the middle 80s to 90s, named the Legend pretty rare car today especially for 2-door coupe body style. As shown here is 1989 model that could be a remarkable sample for its ages with some minus but not a major issue, so don’t let this minor impediment stop you, because the Legend could prove to be the perfect ride for a nice daily driver. Now it offered in Craigslist looking for $3900 located in Long Beach. 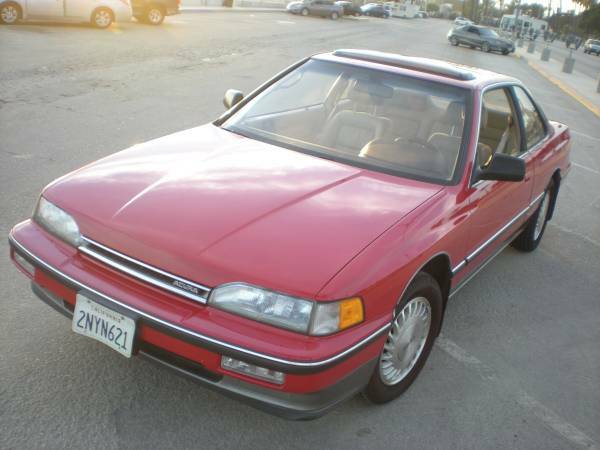 According to data was written in its Ads, it's an original first generation Acura Legend released in 1989 VIN: JH4KA3260KC014442 powered by a 2.7 L V6 engine with 4-speed automatic, is said still in excellent condition overall and was driven about 170000 miles from new, his whole life was spent in California.